 The Jacquin Trio are an audacious classical chamber ensemble, dedicated to exploring, expanding and celebrating music for the inimitable combination of clarinet, viola/violin and piano. The only group to have won both the Royal Overseas League and St Martin in-the-Fields Competitions, the Jacquins have been making music together for the best part of a decade. The trio take their name from the von Jacquin family – the original dedicatees of Mozart’s famous Kegelstatt Trio. With a line up that allows them the rare freedom of music for both violin and viola trio in a single concert, they have a vast and varied repertoire at their fingertips; from works by Mozart, Beethoven, Bruch, Schumann and Kurtag to Stravinsky’s virtuosic violin writing in The Soldier’s Tale or Bartok’s Contrasts. Noted for their lively audience rapport and ease in a variety of settings, the Jacquins bring passion, energy and a raucous sense of fun to every performance. They were privileged to benefit from a long association with Live Music Now, where they developed a strong commitment to taking music outside of the concert hall. In 2015 they were ensemble in residence at The Forge, Camden, where they curated an adventurous series of their own, exploring some of their favourite music past and present. They have had numerous new works written for them, most recently the award-winning Charlotte Bray’s Blaze and Fall, which was premiered at St John’s Smith Square, and an ongoing set of miniatures by eminent composer Colin Matthews. Since completing their tenure with LMN, the Jacquins have developed relationships with organisations such as Arts 4 Dementia and Bach to Baby, in addition to developing their own projects. The Jacquins have been privileged to study as an ensemble at some of the most vibrant musical institutions in the world, including the summer residency at the Banff Centre, Canada, and IMS Prussia Cove. They have been supported by the Tunnell Trust Award, twice by the Park Lane Group, the Solti Foundation, the Fidelio Trust and have been prize winners at the 19th International Chamber Music Competition, Thessaloniki, Greece, the International Music Competition, Salzburg and the RCM Douglas Whittaker Prize. London-based Irish clarinettist Jessie Grimes, despite not being able to actually juggle, loves juggling different careers. She is a chamber musician and orchestral player, as well as a teacher, presenter and creative workshop leader. She has performed as a soloist at the Purcell Room, St John’s Smith Square, St Martin-in-the-Fields,NCH Dublin and at the Brighton Festival, but her first love is chamber music. As well as her long-standing joyful collaboration with the Jacquin Trio, she also enjoys a musical relationship with the Dr K Sextet, Ensemble Perpetuo, The Riot Ensemble and Ossian Ensemble. 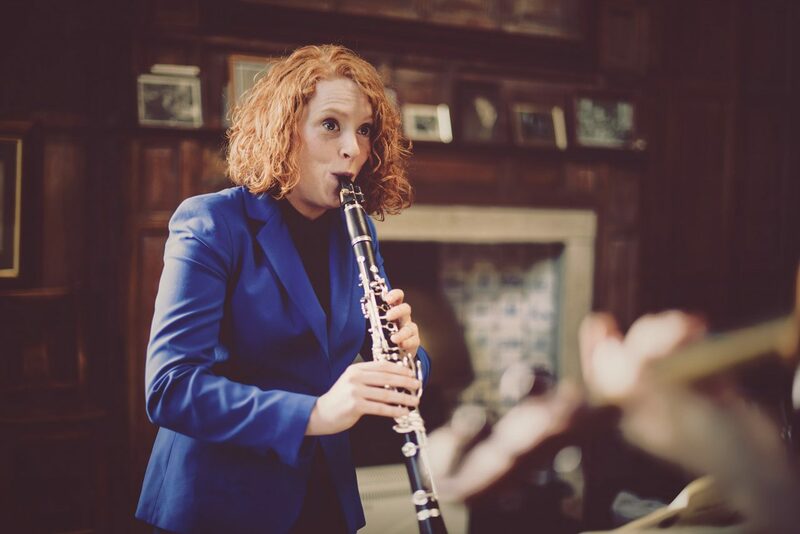 As an orchestral musician, Jessie been principal clarinet of the Wexford Festival Opera Orchestra since 2014 and also enjoys working with orchestras such as the BBC and RTE Orchestras, ROH Covent Garden and Camerata Ireland. As a student she enjoyed many outrageously fun and musically inspiring tours with the European Union Youth Orchestra. Jessie is really keen to share her love for music with others. She teaches clarinet at the Royal College of Music (RCM) Junior Department. She has presented live on BBC television, is a Live Music Now and Sound Connections mentor, and delivers workshops for Camerata Ireland, Wigmore Learning, Spitalfields and RPO Resound. She also works closely with with the Ulster Orchestra, presenting concerts and workshops and with Sinfonia Viva as an SEN specialist and creative workshop leader. Jessie graduated with an MMus from the RCM in 2011 and was awarded the Worshipful Company of Musicians Silver Medal for Outstanding Musical Achievement as well as RCM Rising Star and RCM Senior Woodwind Prizes, thanks to many hours in practice rooms fuelled by huge double-decker sandwiches. As well as being a musician she dreams of becoming a vegetable gardener, and loves hiking, rock climbing, yoga and stand-up comedy. Kay is from Aberdeen and took up the viola by accident, early on in her violin studies at the Royal Conservatoire of Scotland. She quickly realised it was the best mistake she ever made and has slightly preferred it to the violin ever since. 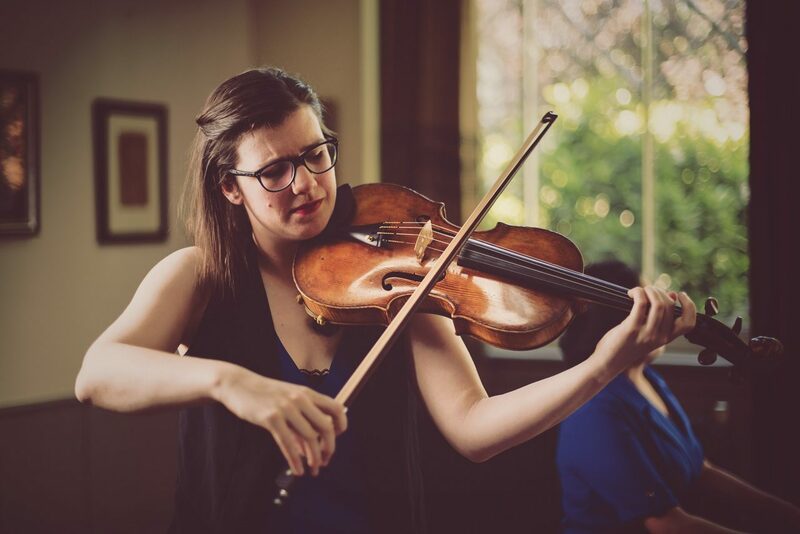 Kay completed a postgrad at the Royal Northern College of Music in Manchester, followed by an International Artist Diploma in string leadership, with the Hallé Orchestra. She joined the Gildas Quartet as their violist in 2010 and has performed with them all over the world, including in South Africa, China and Australia, in addition to most of the major UK concert halls and many times on BBC Radio 3. The quartet was awarded the ‘Audience Engagement’ award at the International Franz Schubert and Modern Music Competition in Graz in 2018, in recognition of their bold and creative approach to programming. Kay has performed with ensembles such as the Elias, Navarra and Edinburgh quartets, and the Manchester Collective, Ensemble Deva and Red Note Ensemble. Formerly the no.2 viola with the Manchester Camerata, she performed many times as principal and as soloist with the orchestra. She has been invited as guest principal viola with the Royal Scottish National Orchestra and as co-principal with the BBC Philharmonic, the City of London Sinfonia and the Britten Sinfonia; and also performs regularly as violinist with orchestras such as the Royal Northern Sinfonia, the Hallé and the Gabrieli Consort. In 2018 Kay joined twelve piece cross-genre ensemble, Propellor for their residency at Snape Maltings. As the newest addition to the Jacquin Trio, Kay has loved immersing herself in the rich and surprising repertoire for the combination of clarinet, viola and piano, as well as treading new paths with her colleagues as they explore the equally wonderful trio repertoire for violin. With family roots in Vancouver and Hong Kong, pianist Charis Hanning made London her home after arriving there as a naive student in 2009 with little more than her Canadian hoodie and keep-cup. Her sense of adventure is ever-present, making her a versatile, creative and spirited artist. Experienced in solo, accompaniment and chamber music, Charis loves most of all to collaborate with others. As well as being a founding member of the Jacquin Trio, Charis has worked with instrumentalists and singers from around the world in places such as Fundación Juan March and Chan Centre for the Performing Arts. She has also combined with singers at the Aldeburgh English Song Project and Vancouver International Song Institute. Currently she very much enjoys working with students at Trinity Laban Conservatoire of Music and Dance, as their Junior Fellow accompanist. Charis has given solo performances in the UK including at Purcell Room and St Martin-in-the-Fields, and also in Canada, Hong Kong, Italy and India. Among her solo awards are the McCallum Prize at the Royal Overseas League Keyboard Competition, the Belle Shenkman Award and the John & Jean Redcliffe-Maud Prize at RCM. Beyond her concert schedule, Charis takes great delight in inspiring music-lovers and music-novices alike. 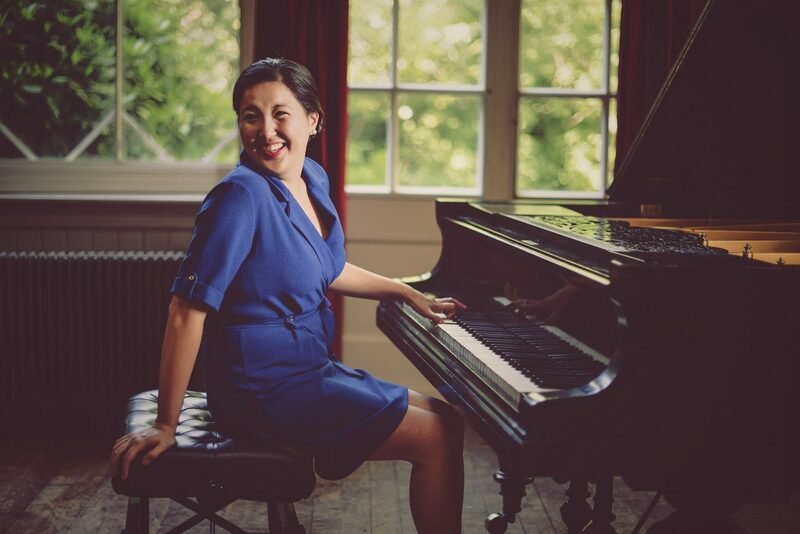 She coaches chamber groups and gives masterclasses for young musicians, is staff pianist at Trinity Laban’s Junior Department, mentors artists for Live Music Now, leads creative workshops and gives teacher-trainings. Charis received her MMus with distinction from RCM and her BMus from the University of British Columbia. For her, making music with the Jacquins is so fun because it’s like how she makes food – by instinct, with spice and for sharing.